Deeplomatic Recordings EP#030. 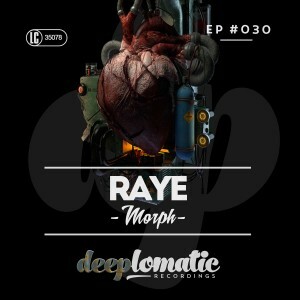 Once again Raye brings his signature sound to Deeplomatic as he explores territory that is somehow both familiar and fresh at the same time. With five tracks of tech and emotional house that traverse a dynamic sonic landscape. A well crafted EP of the highest caliber.